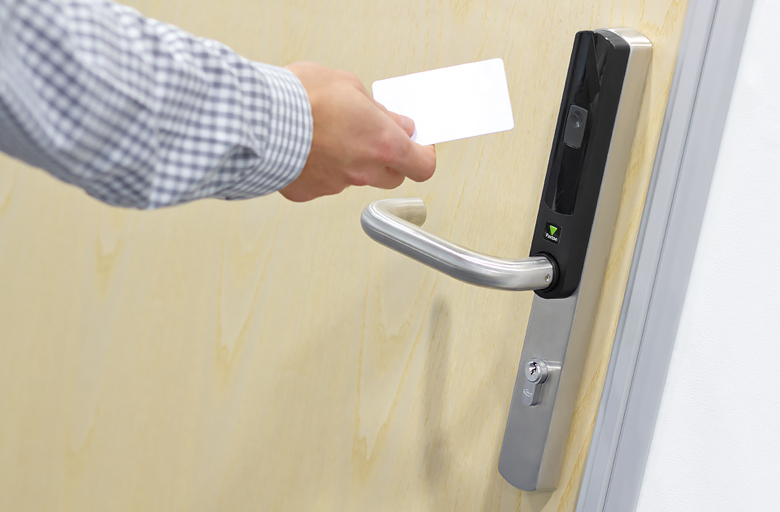 Access control/door entry enables you to manage who has access to your building. Locks and keys also allow you to secure your building, but if keys are lost or stolen, the inconvenience and expense of changing locks and re-issuing keys can be considerable. Keys can also be copied, creating even more security risks. Every business, whether small, medium or large, have assets that need to be protected from theft. There is also the issue of protecting staff and their property. It is common in buildings that are secured by locks and keys for doors to be left unlocked all day. This opens up the possibility of opportunist theft and malicious damage. Electronic access control provides the most efficient and convenient way of securing your building, assets and could lower the costs of business insurance. Installing an access control system means that you will never have to change a lock again. Tokens are issued to allow access through the controlled doors, and are easily barred from the system if they are lost, stolen or just not returned by someone who leaves your company. Barred tokens will not allow access through the controlled doors. 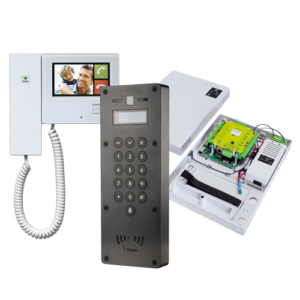 Net2 is an advanced PC based access control/door entry solution. Net2 offers centralised administration and control of sites with up to one thousand doors and 50,000 users. Perfectly tailor access privileges to groups or individuals quickly and easily using our intuitive, user-friendly software. Event reports can be generated in a few clicks and the single-door architecture makes specifying, installing and maintaining the system easy. Advanced features such as site graphics, IP camera integration and ‘Triggers and Actions’ further extend the capabilities of this cutting-edge system. To visit other Paxton Access Control products, please click here. Our encoders convert a standard analogue video feed into a digital stream, allowing you to send the captured digital images over an IP network. This then allows you to view live images on your IP network using video management software. To find out more about our Door Entry solutions, please call 0800 206 2107 or email the Cabling Team.